Good morning, magical ones. The campaign is over, and I’m happy to say that we have exceeded my expectations more than I could ever imagine. 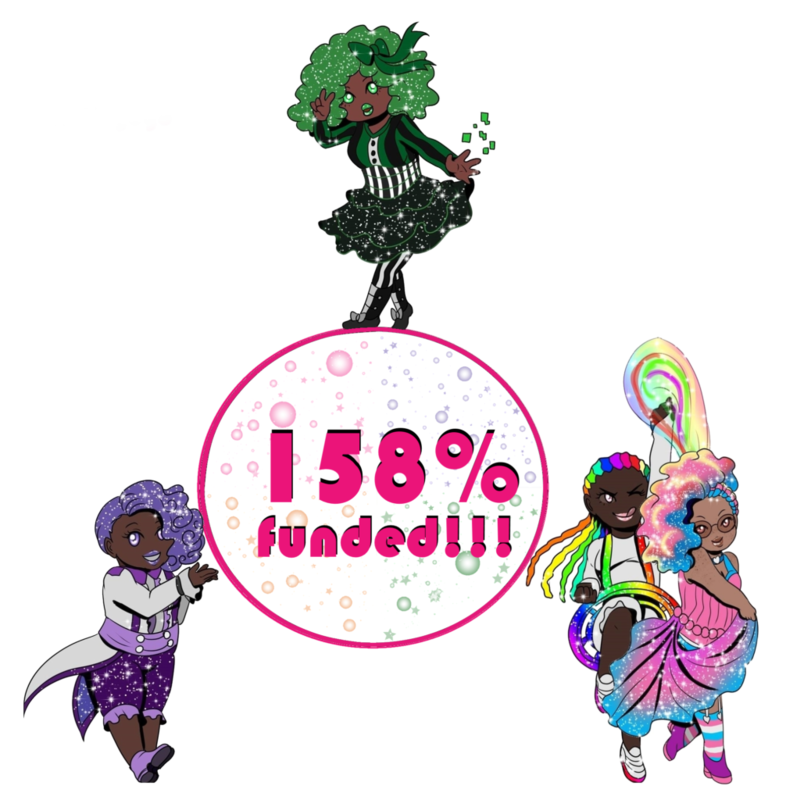 I woke up this morning to almost 8K in funds and the campaign reaching 158% of the initial goal. 1. Magnifique Noir on Facebook. Give it a like! Second, there are still ways to contribute to the growth of this project. The campaign is now “InDemand” which means that you can still donate and/or pledge tiers. This works really well if you wanted a more expensive tier but couldn’t afford it (ie: magical girl care packages, ect. ), especially since those bundles will only be available through the campaign. However, if you just want a copy of the book, you will be able to pre-order it through my Etsy page soon! You’ll also be able to pre-order the first wave of bath products for the girls. If you contributed to the campaign, you will be getting a coupon to use via email. If I sell out of the first wave, I’ll talk to the woman I’m working with to see if I can get a second wave going. Third, any other items like prints, buttons, ect. that were offered in the campaign will be available on my Etsy page. It’ll just take some time to update it. I’ll also have some things available at the conventions I’m going to, and you can place orders through me there. I have an updated list of where I’ll be HERE! Fourth, if you contributed to the campaign, I will be emailing the coloring page to you this week! I’ll also be making the thank you page on the website this week, too. If you don’t want your name listed (or want to use an alias) please let me know! (I’ll bring it up in the email, too). Fifth, I will be emailing people who just donated to campaign to make sure they didn’t want anything. I had a few people hit “donate” by mistake when they meant to select a tier. If that ends up being the case, we’ll work something out so you can get the tier you want. Last, but not least, I want to say thank you to ALL OF YOU for believing in this project so much! I never imagined that it would make it this far, and I can’t wait to release it and show the world how magical black, queer girls are. You can still keep pledging as the campaign has a little over a week left before it’s over (so if you missed out, don’t worry, there’s still time!). 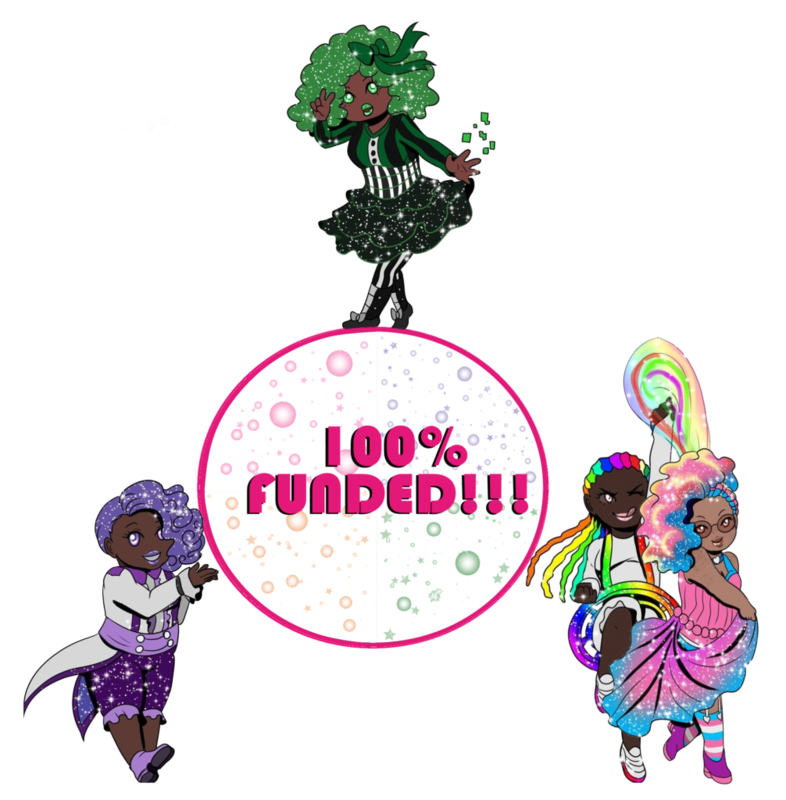 Any extra money that is accumulated will go toward MORE MAGICAL GIRL STUFF! More art. More products. Fully colored images inside the book. Any and ALL of that can be a possibility depending on how much is earned from now until the end of the campaign. I really want to thank all of you for supporting this creation of mine. It means a lot to see so many people believing in these girls. I’m excited to present the book to all of you, have it at conventions, and essentially spread the queer black girl magic! Don’t forget: you are magical! Good morning, magical ones! We are at 31% of the funding! That is INCREDIBLE! Thank you SO MUCH for all of the support early on in this campaign! Remember to use #magnifiqueNOIR when talking about it on social media. Also, remember that you can keep track of what’s happening up to date with the event page, and the campaign itself is HERE! The CONVENTION SCHEDULE has been updated with another show I’ll be appearing at: Naka-Kon!!! I will most definitely have some magical girl merchandise and will be doing panels about cosplay bullying, diversity, representation, and loving yourself. I’ll update with times and table location as soon as I get the details. The OTHER MAGICAL WORKS section has been updated with more jobs from WatchMojo.com and MsMojo that I wrote the scripts for. That’s all, and don’t forget: you are magical!